Adjusting to a new sober lifestyle after treatment can be difficult. Many changes must be made to live a productive, healthy life without drugs or alcohol. Treatment teaches coping skills for coping with stress and anxiety throughout recovery. Returning to work after treatment can be scary and stressful. If you know what to expect, you can develop a plan on how to manage tough questions from coworkers about your absence while maintaining your sobriety. Coworkers may ask where you have been, and while you have a right to anonymity, you may want to consider being honest. Admitting your struggles with addiction can help in the recovery process, because you need to be honest with yourself about it. 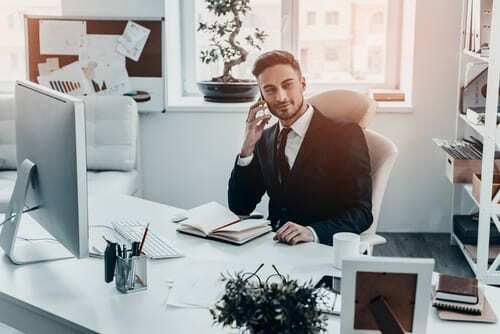 While there may be some judgment about your addiction, there could be others in the workplace that suffer from addiction or are affected by it in some way. Income. Returning to the workplace after treatment means you can pay the bills and save money that was used on drugs or alcohol. Self-sufficiency. Improves your ability to take care of yourself. Stability. Steady employment where you are expected to show up on time and perform your job on a regular basis creates long-term stability. Constructive use of time. Work allows you to be productive and fill in the time that was spent on using drugs or alcohol. Normalcy. Having and maintaining a job is indicative of normalcy. It means you can return to your responsibilities. Responsibility. When you have a job, you have a responsibility to complete your work and be productive. Having a job also helps to prioritize your responsibilities. Returning to work after treatment can be very rewarding and beneficial to your recovery. Prevent yourself from experiencing burnout. Avoid getting burned-out by pacing yourself and slow down. Always ask for help if you need it. If you or a loved one is suffering from addiction, get help today. Addiction is complex but treatable. Make that first step toward sobriety and get help now.